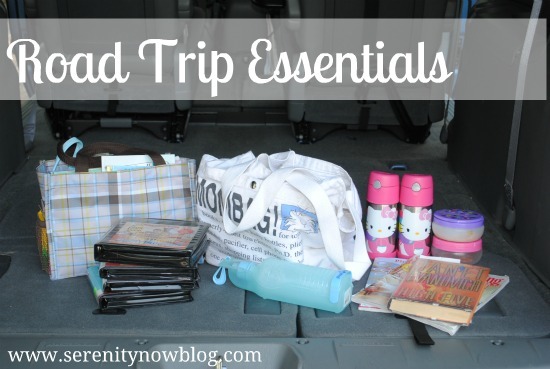 We've actually done some travelling this Spring, and have a couple more trips to go this summer, so I feel prepared to show you guys our Car Activity Bag and a few other ideas to keep your car stocked with for those long hours of travel. I actually keep this in the Swagger Wagon all the time. It's a Thirty One Bag with our last name stitched on one side...makes it easier to keep track of! Natalie and Michaela Byrd each take ballet lessons once a week, so one sister is inevitably stuck waiting in the minivan with me while the other sister takes over the dance floor in the studio. Between dance lessons, waiting for kindergarten pick-up, and other occasional days we might have some time to kill, this bag gets a good work-out. 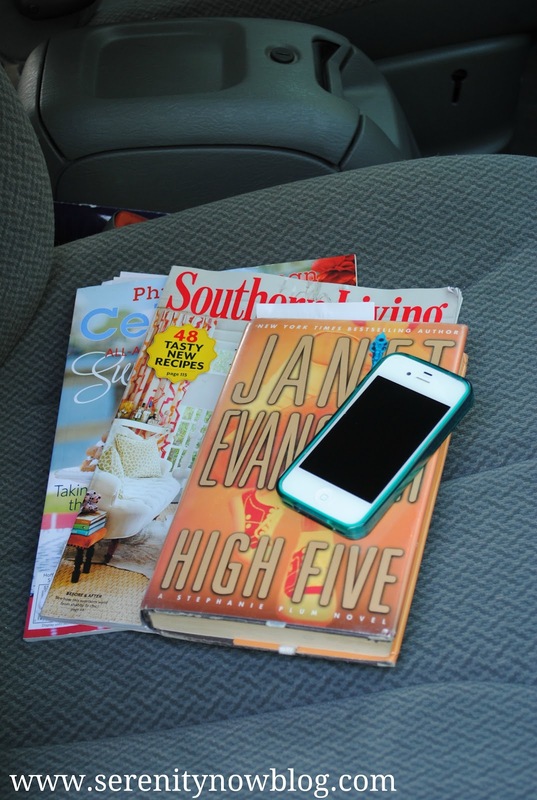 These are awesome for around-town stops, but for genuine road trips, we add some extras to our car! 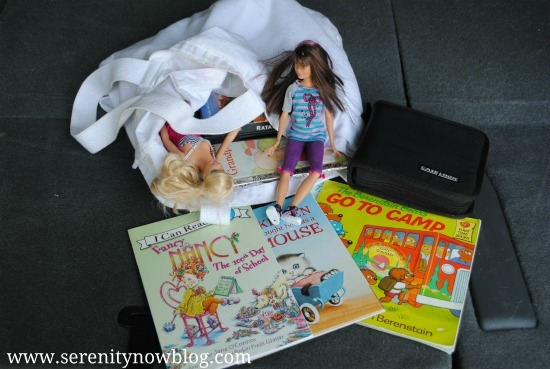 We stock a stretchy canvas bag with Barbies, books, and a travel case that holds some DVDs. We save our DVD player for any trips that last longer than an hour. That way, the movies are more of a treat; and there's no screaming when we drive 5 miles from our house to Target and they're not finished watching Barbie: A Fashion Fairy Tale. While DVDs are great and guarantee you some quiet time, you certainly don't want to end the trip with a pair of glossy-eyed zombies in your backseat. I borrow books on tape from the library, and it "forces" them to sit and use their imaginations for awhile. Even my four year old will sit quietly, listening to the story and laughing at the silly parts. You'd be surprised at what they can comprehend! 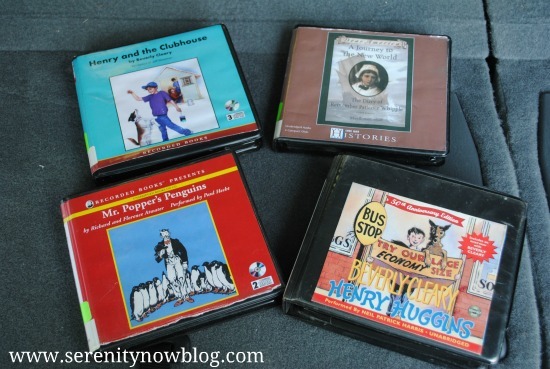 Some of our favorites have been Beverly Cleary's Henry Huggins, the American Girl Felicity stories, The Lion, the Witch and the Wardrobe, and Mr. Popper's Penguins. We finished up Little House on the Prairie last week, and they were riveted the entire time. The classic books are great for teaching your kids about how people lived in a different time. I like to have a few magazines, a book, and my smart phone on hand in the front seat. I like to say that I use the navigation on the iPhone, but really I just like to look at Pinterest and/or listen to my playlist while T drives. I don't pack anything of interest for him, because his main concern is really how many hours it will take to get us there, and will we throw his time off with numerous bathroom stops? If you're traveling with a dog, I recommend getting a doggie water bottle from a local petshop. I picked up this one from PetsMart years ago, and I love the compact size. I fill it with ice and water before we leave the house, and our Emma doesn't get thirsty at pit stops. For younger kids, getting a little bucket or plastic bin with small, inexpensive toys and books that they've never seen before is usually enough to occupy them. And don't feel guilty for letting little guys watch some extra movies...sometimes that's the only way to keep them from screaming for hours on end (don't ask me how I know). So...that's the way this family does road trips. Our 13 hour drive down to Orlando went smoothly with some planning and preparation. I hope yours is just as smooth! 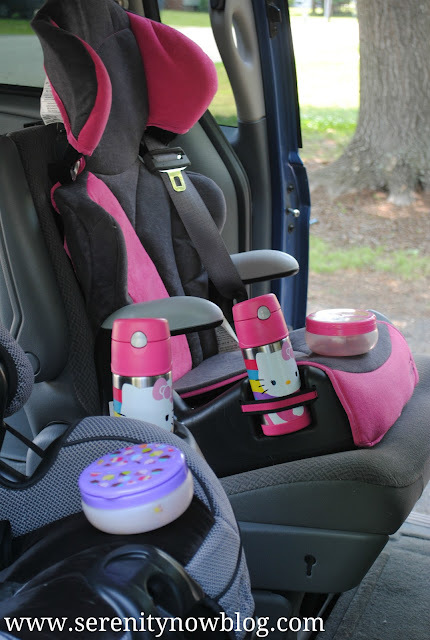 How do you plan ahead for occupying the family during long drives? These are all great ideas! Does Mom get a container of snacks, too? We drove to Orlando--a two-day trip for us--when my son was two. I packed two bags of activities (much like yours); we used each bag on one day down and one day back. That way everything was "new." I agree about books on tape/CD, too. One of our favorites was The Boxcar Children. What a great post, Amanda! My boys (1, 3, 5) are great travelers but our usual trip is about 7 hours. This summer we'll be going on a road trip that is about 7 hours every day for several days! Thanks for the great ideas! For the last trip they were old enough (7,5,3) to pack their own little backpack, and it kept them occupied. Which was going, because I was driving solo and 1st trimester nauseous,sick, and tired pregnant from Dallas to Chicago to Boston. Whew! I love the idea of books on tapes for kids. I hadn't thought of that. I especially like the idea of listening to books I grew up reading. umm, first off let's talk about how clean your van is!!! omyword! you are amazing! seriously! 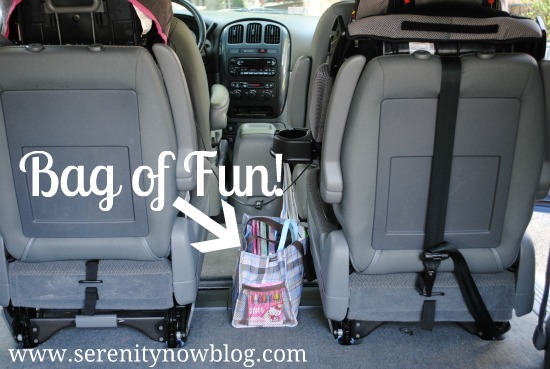 great idea with the fun bag. so needed on a road trip. we have yet to get the DVD player. thankfully my kids are great on a road trip! I also admired your clean van! Your bags are such a great idea for occupying the girls. I wish my mom had done something like that for me when I was a child. I look forward to car rides now for uninterrupted play on my phone time! Great IDeas for the trip bags. I tried to do the same thing a few weeks ago on our car trip but I think I packed too much. Next time I'll pare down. Great post. My kiddos are past the point of needing me to occupy them, they travel with their own backpacks or satchels, filled mostly with electronics. 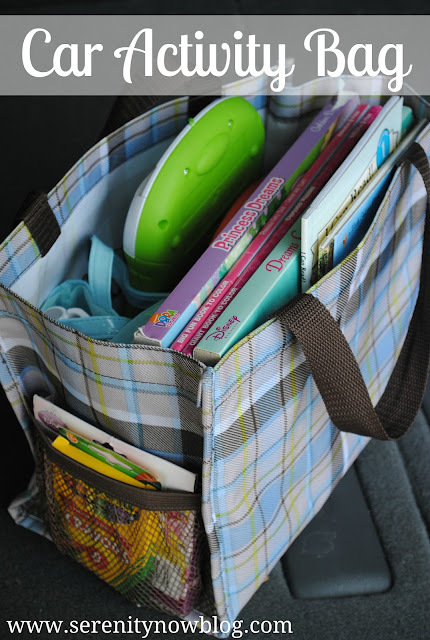 But I recently started using that same size 31 bag for toting things I need for running errands to and from the car - like library books, or coupons. 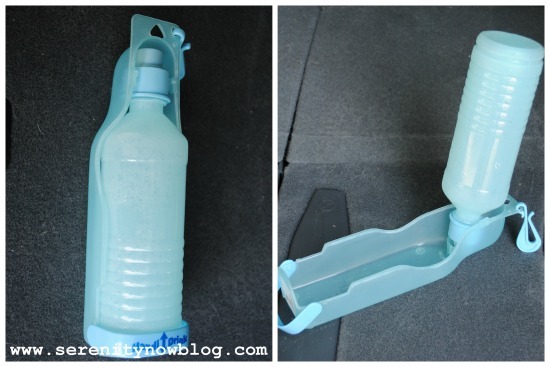 I like that doggy bottle carrier with the built-in water dish - I might have to scour the local pet shop for one. So we just did a small road trip today and I had the same 31 bag with kids goodies in between their seats! I guess we think a like!! I love this idea! 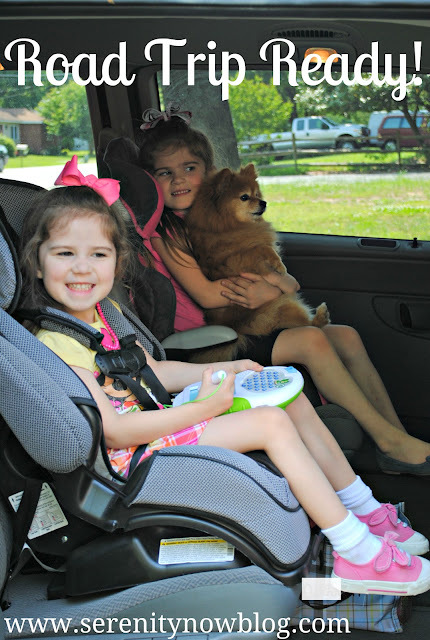 We are always traveling up to Utah to visit family which is a long trip and this will come in super handy! Random question...what kind of booster seats do you have? I need a new one for my little lady that is also a five point harness and I liked how nice yours look! Thanks! Love your idea...and Mom's stash too! 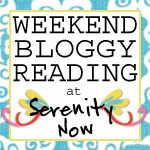 My teenagers still like little surprises, so I'll be looking for some fun things for their bag. The dog water bottle...brilliant! Gotta get one of those too! When we go on long trips, I purchase little items and wrap them in fun comic paper. Depending on the length of the trip, I have my daughters open a present after so many miles. The gifts are usually something that will keep them busy for a while. I do throw in a few bigger presents like a new movie to watch or a new DS game. The comic paper also gives them something to look at. My girls felt finger puppets I have made for them. They act out stories or make all the sounds. We also like white boards with washable markers. 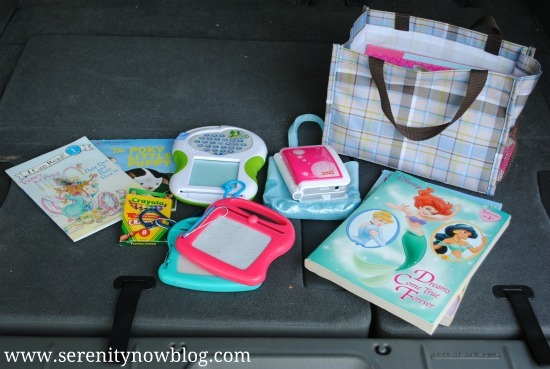 I love this idea--having all the entertainment stuff together in a bag really helps keep things organized. My kids travel so much better when I have things for them to do. I love Thirty One bags! 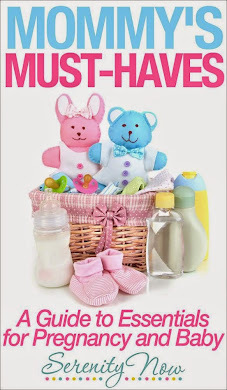 The one you have is so cute! What size Thirty One bag did you use?